The funding will help improve prediction and management of wildfires globally through the Leverhulme Centre for Wildfires, Environment and Society. The new Centre, led by Imperial College London, will be the first in the world to address wildfire challenges from a global perspective. It will bring together physical and social scientists to help understand the factors that influence fire and provide guidelines on successful fire management for future generations. The Centre will be led by Dr Apostolos Voulgarakis from Imperial’s Department of Physics, with collaborators at Kings College London, the University of Reading and Royal Holloway University of London. The £10m funding will support the Centre for ten years. Huge wildfires have recently caused devastation in Canada, California and Greece, but natural fire can also have positive effects where species and ecosystems rely on them to recycle nutrients or provide new fertile ground. Fire has long been harnessed by humans but changing practices have meant predicting and managing wildfires has become more challenging. For example, large fires used to clear land for crop or farmland can displace local populations, and ‘zero fire’ policies have led to the accumulation of burnable material that result in larger-than-normal fires, which destroy lives and property, threaten biodiversity and cultures, reduce air quality, and emit huge amounts of carbon. Wildfires are also driven by, and can contribute to, climate change: a warming world makes large fires more likely, which in turn releases large amounts of the greenhouse gas carbon dioxide from burnt plant life. However, these relationships are at present poorly understood. Dr Voulgarakis said: "Wildfires are more and more recognised as a central aspect of global environmental change, but the role they may have in shaping the Earth's future is poorly understood. 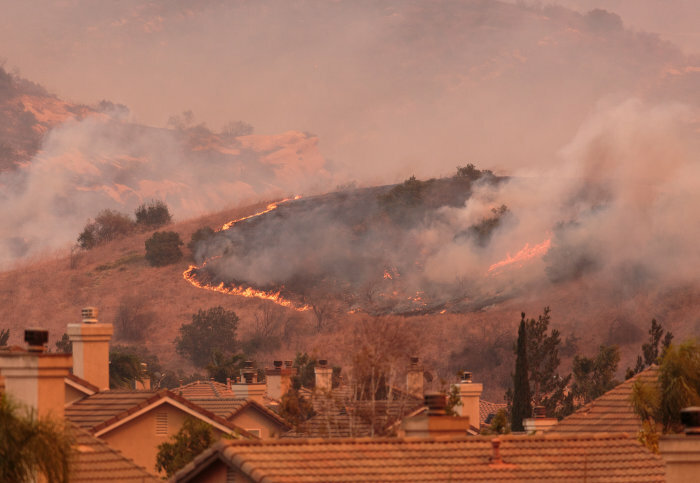 We aim to provide a step-change in the scientific understanding of what drives wildfires around the world, and what the future might hold for wildfires and for all the natural and human systems influenced by them." The Leverhulme Trust has funded three such Centres in its latest round of Research Centre awards. Professor Gordon Marshall, Director of the Trust, said: “Leverhulme Trust Research Centres are a major investment in discovery-led inquiry at a time when funding for fundamental scholarship is under great pressure. They are our vote-of-confidence in the quality of the UK’s outstanding researchers. Staff at the Grantham Institute, which sits at the heart of Imperial’s work on climate change and the environment, were instrumental in connecting the multidisciplinary team who lead the new Centre, and will be supporting its future work. Grantham Institute Co-Director Professor Joanna Haigh, said: “Wildfires have historically helped to maintain natural ecosystems in many parts of the world, but global warming and changes in land-use mean that they are now occurring in unexpected places and at new times of the year. The consequences are being felt in the natural world as well as affecting peoples’ lives and livelihoods.